The Holo Hookup is flying into our hearts again for another collaboration box! 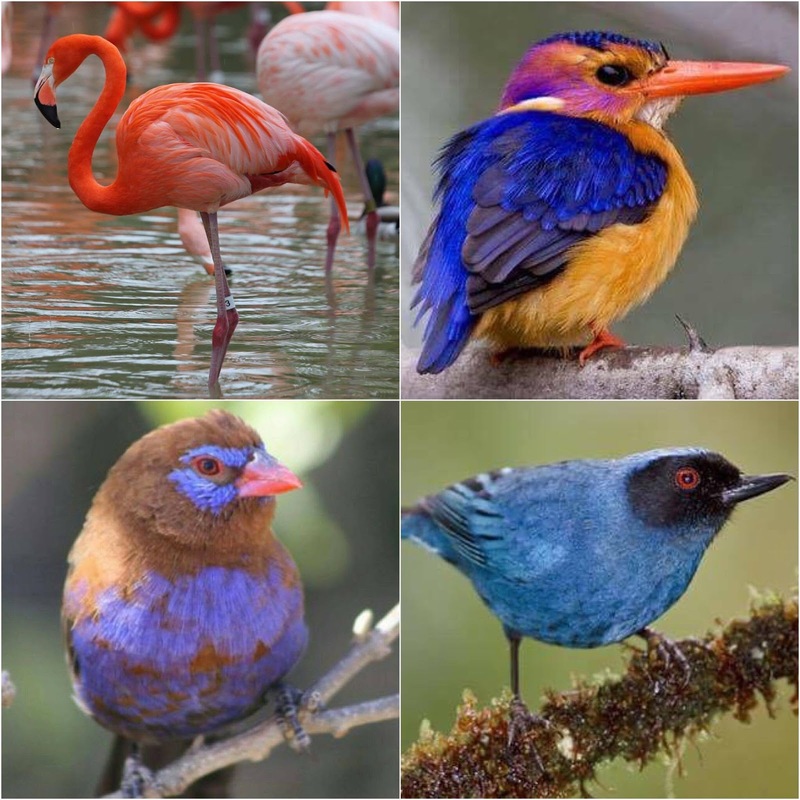 The November quartet is inspired by beautiful, colorful birds, themed as "Birds Of A Feather". The box always features unique, exclusive polishes from indie brands Cupcake Polish, DIFFERENT dimension and Glisten & Glow, with a fourth shade from a special guest brand. This month they are joined by Nine Zero Lacquer. Cupcake Polish Flamingo is a bright orangey pink linear holographic. The first adjective I could think of when I first saw this was juicy! Can lean more orange in different lighting. Excellent formula, two coats for full opacity. Glisten & Glow Purple Grenadier is a medium purple linear holographic with added shimmers and cherry red galaxy glitters. I found this to have a creamier formula than the others, a little thin but not difficult to apply. This is two coats. The red glitters really shine in person, giving this a unique pop. DIFFERENT dimension Pygmy Kingfisher is a stunning gold linear holographic with a chrome red/orange/yellow multichrome effect. You have to see this to believe it, it's breathtaking! A touch thicker than the others, two coats here. Nine Zero Lacquer Masked Flowerpiercer is a cerulean blue linear holographic. I've been fortunate to know the Nine Zero brand from their beginnings, they are a great brand. This applied effortlessly and covered in two coats, with slight brushstrokes. The November box pre-order is open from Friday, October 21 9PM EDT through Friday, October 28 9PM EDT on The Holo Hookup website. The cost for the box is $40 plus shipping, domestic and international. I hope you enjoyed seeing these swatches, I really loved the colors this round. What do you think?